‘Making music from inner projections and his own creativity’ encapsulates the motto of organ player and church musician Sietze de Vries (b. 1973). Improvisation as a field of study and thus a learnable process is his focus. The collection of historical organs of the Netherlands, and in particular that of the province of Groningen, form an unending source of inspiration to him. Sietze de Vries is internationally active both as a concert organist and church musician. His organ teachers included, among others, Wim van Beek and Jos van der Kooy, the latter with whom De Vries also studied improvisation, as well as with Jan Jongepier. In addition to his Bachelor’s and Master’s degrees he also holds the Dutch professional church music certificate with a specialisation in improvisation. Sietze de Vries won no fewer than 15 prizes at various national and international organ competitions, some whilst still a student at the Conservatoria of Groningen and The Hague. These included his first prize at the Haarlem International Organ Improvisation Competition in 2002. Since 2000, Sietze de Vries has been in demand throughout the world. In addition to his performances in Europe, he has also travelled to the United States, Canada, South Africa, Russia and Australia. As an (improvisation) teacher he is international demand, in addition to his post at the Prince Claus Conservatory in Groningen. 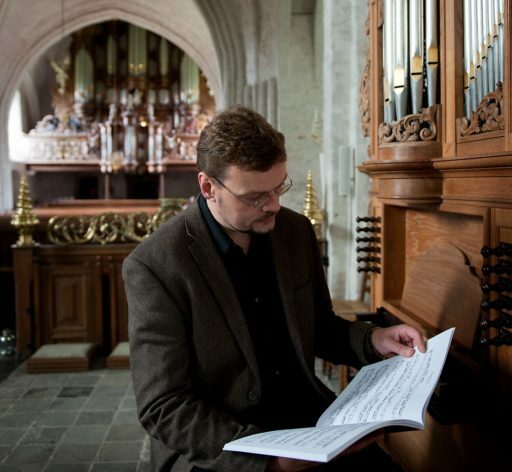 Sietze de Vries is organist of the Martinikerk in Groningen and Artistic Director of the Groningen Organ Education Centre which promotes the collection of historic organs in the Groningen province from its base at the Petruskerk in Leens. In addition to his work as a performer and teacher, Sietze is especially well known for his leading of organ tours, lecturing, giving masterclasses and developing programmes which bring children into contact with the organ. His commitment to developing young talent is also reflected in his role accompanying the Roden Girl Choristers and until recently the Roden Boys’ Choir and the Kampen Boys’ Choir. He has published articles in various international magazines about church music, organ building and improvisation and is the organ building editor for the Dutch magazine ‘Het Orgel’. For more information, please visit www.sietzedevries.nl and www.jsbrecords.nl for a overview of his work (CD, DVD).